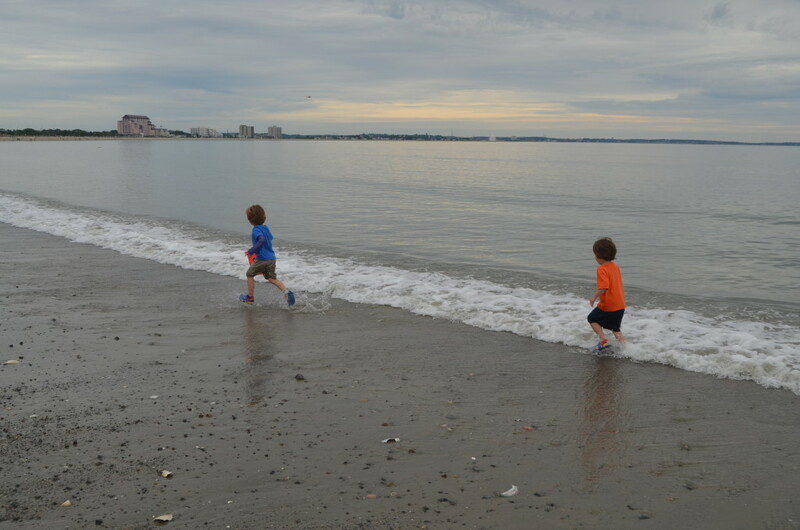 Revere, Mass – Bostonians (ie, Daddio) love to bemoan the passing of the hallowed haunts of their youth… and no place evokes more nostalgia than Revere Beach. For much of the 20th century, this place was a raucous boardwalk and amusement park, famous for roller coasters, dance halls, and the Wonderland dog track. Nowadays, it’s a scenic but soulless, condo-fronted, family-friendly beach. 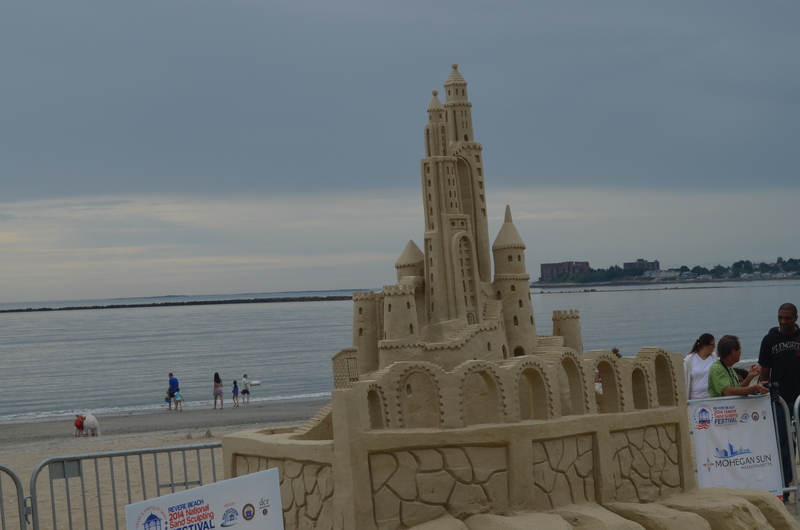 while Twin V preferred this amazing sand city. 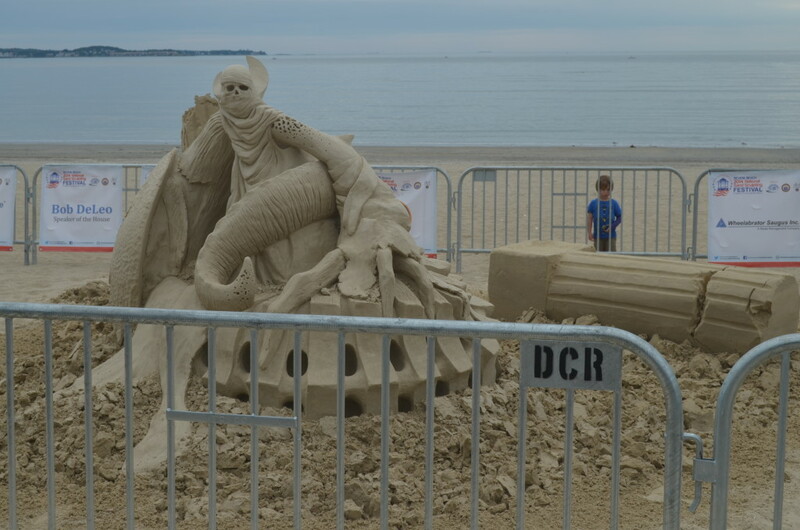 But actually, both twins were only moderately interested in the sand sculptures, once they realized they would not be allowed to knock them down. Frolicking in the waves, collecting shells and building their own sand sculptures, however: THAT kept them entertained for hours. They don’t need roller coasters and dog racing, or even monsters and cities. They just need water and sand.